Intense heat waves prevailing in the country have caused more than 160 deaths in southern and eastern parts of the country , an officials said, warning that any relief from monsoon rains was still likely weeks away. Most of the victims were laborers and farmers in the states of Andhra Pradesh, Telangana and Odisha. Temperatures in country have also hit 45°C. Schools were already closed last week in Odisha may open after April 26. Andhra Pradesh Government is giving free water and buttermilk to help people stay hydrated. And everywhere, people have been urged to stay indoors during the hottest hours of the day. Police have reported at least 45 deaths in Andhra Pradesh, 66 deaths reported in Telangana and 55 in Odisha. Meanwhile, a 12-year-old girl in the died from the heat while fetching water on wednesday in Maharashtra. 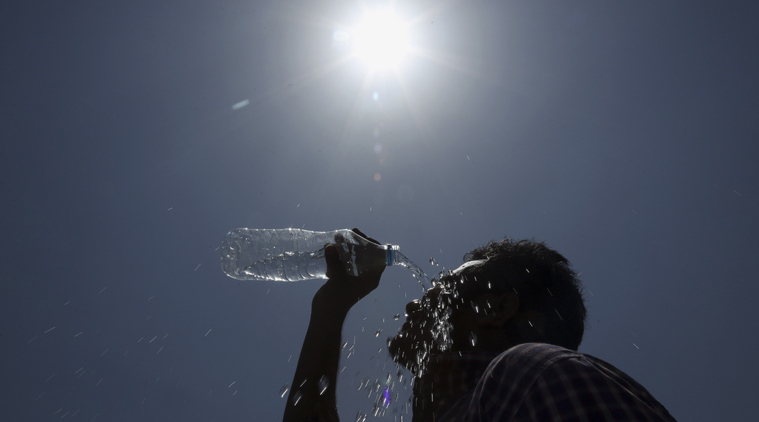 The heat waves in India records high temperature across the globe. Last year around 2,500 people died in scorching temperatures prior to monsoon rains in early June. But while heat waves are relatively common during summers, authorities have done little to ensure water security or prepare urban populations for the risks.